Our weapons are rendered at 50 FOV and the game world is rendered between 60-90 FOV. The center of your screen and the reticle match between 50 and 60 to 90 FOV, so the first shot is always accurate. 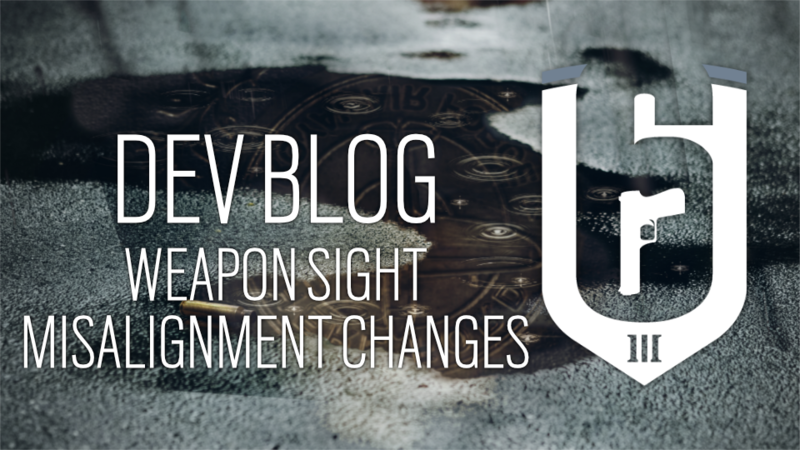 Our weapon optics will become offset due to the variance in render scales, causing displacement of the reticle. Displacement of the reticle occurs whenever multiple shots are fired in quick succession (fully automatic fire). Any displacement of the reticle is going to create further misalignment.. When there is weapon displacement, it moves the reticle off center, thus sending the bullet to a different point than where the reticle is pointing. Displacement occurs when there is rotation (weapon spins around a central pivot point, forming two circles as each end of the weapon) and translation (the weapon moving in a direction on the X and Y axis). In the new system, we are not able to transfer the recoil “patterns” from the old system. They need to be recreated manually for each weapon, and we have been working to make the recoils match the “old” ones. We have made an effort to ensure that each weapon feels as close to the original recoil as possible. These changes were live on the latest version of the Test Server, and we have done our best to consider your feedback.